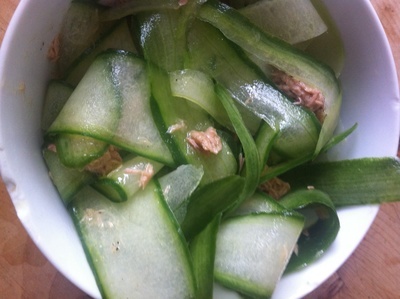 A simple dish of cucumber ribbons and tuna flakes might be whatever's lying around in your fridge, but when that moment strikes, a bit of creativity is all that you need to make this light little dish for kids (this is a kids portion, it does not fill adults, let me assure you). 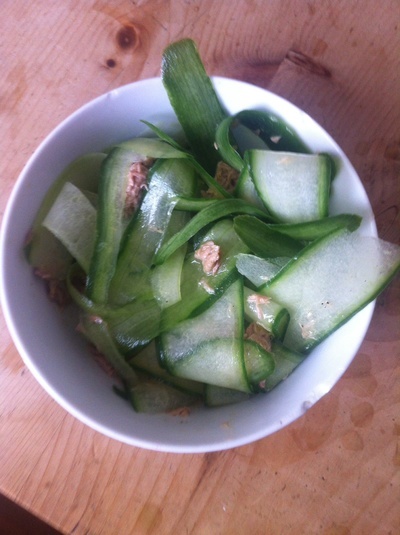 Peel the cucumber into flat ribbons, using a peeler, into a bowl. 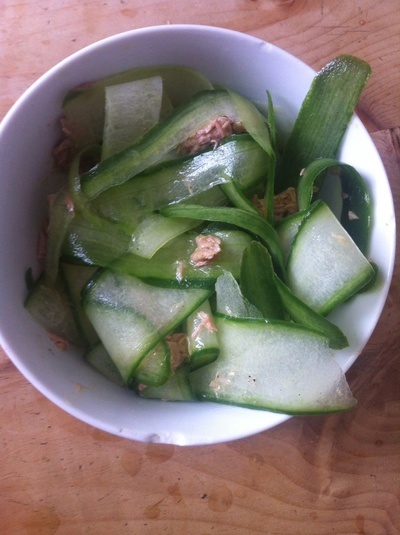 Add the seasoning and tuna.